Hunnisett Military Tailors, Greengrocer. – Coppers Fish Merchant. Alleyway to back of 53 High Street. Bookshop. 53 Off licence (NYE) 55 Tailors Shop (NYE) and where we lived until 1952 . Then it gets vague, but there was another Café then a wool shop/Post Office . Hotel on corner. The first alley was probably Flaxman's Alley (although I hadn't realised it was still there that late! ), the second alley would be Sawyer's Alley. The hotel on the corner was the Queen's Head Hotel, and one local says he remembers that by the 40s/50s (maybe before) it was almost exclusively used by the 'luvvies' from the various rep companies that were forever passing through, putting on shows at Chatham's various theatres. Opposite side going down – Newsagent ?? Sweetshop Son RM killed in the War. ?? Pub on the corner Westcourt Street Pub other corner (White Lion) Shoe repairs (John Unexpected Smith) I think someone opened a sort of Junk Shop in this area. Fish & Chips (Williams) Barbers Sho Newsagent corner of Middle Street. Opp – Grocers Shop, China shop, Butcherr, gap Sweetshop (Edna’s Mum –Fares) Barber, Factory, Cliffe’s Café. Corner of Westcourt Street. The pubs on the corners of Westcourt Street were The British Legion Club (had been the Navy Arms until about 1918) and the Golden Lion (one of the oldest Brompton Pubs, known locally as the Beast, it closed around 2000). And I think Cliffe's Cafe was by the corner of Wood Street, not Westcourt Street, but I may be wrong. 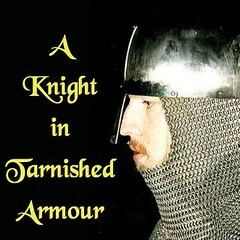 Have received the following via e mail from my sister who will be joining the forum. I remember the RM Guard at the Gate of The Gun Battery –we lived in RM married qtrs in The Gun Battery until the outbreak of War. I used to play all over the area in and around the guns and don’t ever remember being warned off. The qtrs overlooked what you call Brompton Hill but what I knew as Melville Hill . I remember going across to Melville to the Officers Qtrs. Dad was friend with a chap called Charles Wildie don’t know what rank he was but he seemed to be able to pull a lot of strings. I remember the childrens Christmas Parties in the Sgts Mess, with the Magician and the film show as well as the presents. Also remember Christmas Parties in the WO’s Mess which was small and not half as nice as the Sgts. On one occasion a friend and I were about to have a’ tea party’ on a corner of the main Square – which caused quite an uproar, I remember Dad removing me but I think secretly he was amused. During the war we used to go to film shows in The Globe Theatre – Main Barracks RM Sports Field was on The Lines, Nr War Memorial and was used for Bugle Practise Where are Chatham Division Silver Bugles I wonder, I remember being shown them. Also wonder where the huge model ships that were in the Sgts Mess went to? Sgts mess was far end of the main block =dockyard end. WO’s mess near the small gate, building to the right facing the parade ground. You could walk through a tunnel from the main barracks up to the Gun Battery – but I cannot remember the entry and exit points.I am pretty sure they were used as Deep shelters during the blitz There were tunnels all over the area, I was lead to believe all the Forts were connected. I used to go into the ones at the end of Sally Port – they went up to the old fort on the lines – scared the lights out of me all dark and damp so I didn’t go far. My imagination of finding the bones of French Prisoners of War got the better of me – no doubt the tunnels were collapsed in places – no Health and Safety then. Thank you Bromptonboy.I am slowly getting to grips with the wealth of information on this site.Although born into Brompton Iwas a short term resident then a regular visitor to Royal Engineer related barracks etc.I am hoping that my sister will join the forum as she has a lot of memories pre war up to early 50,s especially RM related.By the way she has told me my Grandparents did live in Brompton High street at one time so it is possible that the Mrs. Nye you knew was the old matriarch herself.She chain smoked Turf Cigarettes and was a demon card player. Ubique, you may well have seen an RM Guard on the gate to Melville Barracks. Although the main body of RM's left Chatham in 1950, Melville Barracks was retained as the RM Pay and Records Office until the early 60's when it was closed as part of the cut-backs that saw Nore Command wound up and Sheerness Dockyard closed. probaly too young. My sister has now told me that we moved from brompton high st. in early 1953, so this would have been a daytime memory.When i was stationed at kitchener for R.E. trade course can only remember a foot patrol type guard that checked various points throughout the area.In 1965 the area was still very open though the verhicle access to brompton hill was closed at night. Depends how old you are. The Royal Marines left Chatham in 1950 so if you are old enough you may well remember. The only military guard I can remember was on the gate to HMS Pembroke at the bottom of Dock Road, plus of course Brompton Barracks. Many thanks for the info.I was digging into the depths of my memory and could not be certain that I saw the R.M. guard on the gate as a child. Do you know if the R.M. 's stationed in this barracks had a different function to those in the Dock road barracks? To the best of my knowledge the only barracks my father was associated with was dock road and he was gunnery for most of his service. Thanks for all the posts ref the R.M. Drum major tossing his mace especially the name 'Bacon'.I am hoping to visit the museum at southsea early feb. so this is something I may be able to check against the band rolls. It may just be the case that R.M. division Chatham is short changed at the museum because they were asigned to various ships for a tour of duty and on returning to Chatham Their expliots would have been recorded against that ship's history.Not as Chatham Marines. My father served on Vindictive, Cumberland,Ramilles and Valient. So by linking his service record to the ship I am very slowly starting to get a better idea of his service career and where he served.It is a bit of a long way round. Question...........Was there a barracks that was situated on Brompton Hill and were there Royal Marines based there during the 1950's? My father actually enlisted at Chatham, although he also spent time at Deal training and also inbetween during his tours abroad. 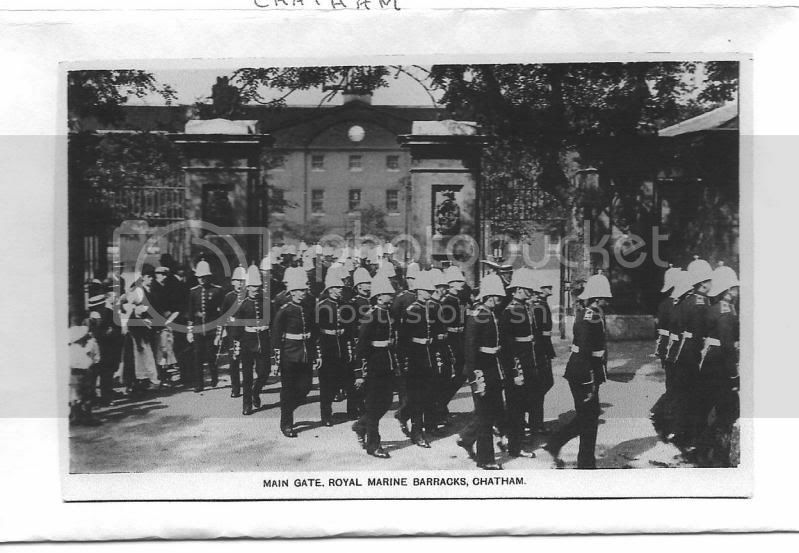 I was sent a copy of this photo of the Barracks at Chatham. The Chatham Division is reputed to trace its origins back to the 17th century and is thought to have been given the title of the First, Grand Division of Mareens as it was the first one formed. In 1693 a Royal warrant authorised the impressment of two Drums and two Hautboys for the 1st Mareen Regiment at Rochester. In 1708 Lt Col Webb of the Marines at Rochester was ordered to place guards to intercept deserting seamen in East Kent. In 1713 Will's Regiment of Marines was in revolt at Rochester against an order to disband them with troops being sent to suppress them. A quote from the programme notes for the 'Final Parade of the Colours of the Old Chatham Divison, Royal Marines'. The First, Grand Division was a distinguished unit that deserves more recognition. Very interesting articles on the RM barracks,thanks to all who have contributed. My grandfather joined the Royal Marines Light Infantry in 1886, did his basic training at Deal and in 1888 his gunnery training at Gibraltar on board HMS Northumberland which at the time was an 'ironclad' vessel. Together with his reserve service he spent 35 years in uniform, 33 years of which were spent at Chatham, finally retiring from service in 1921. He spent the rest of his life as a cobbler at the Cottage Homes in Pattens Lane, living in the very first house to be built in Pattens Gardens. His eldest son, my uncle, served in the RMLI Chatham at the same time in the latter years of my grandfathers service . My father and older locals in Brompton told me of the mace over the gateway. I remember my father telling me this story, a distantl relation (surname Bacon) was Mace bearer of RM Band and reputedly did this on a number of occassions. ref. your picture of the main gate of the Royal Marines barracks. My mother often told the story of a drum major who when marching through the gates in front of the R.M.Band would toss his mace over the entrance arch.My father was a chatham marine 1923 to 1946 so if true would probably be from the 1930's/40's. I've heard that story too, but likewise have no idea if it's true, but is sounds likely as military bands do like their feats of one-upmanship, and with the RE band being based so close by, I bet there was rivalry for ways to show off!